Custom Golf Tips Calendars Personalized in Bulk. Very Inexpensive, Promotional. Lowest cost in USA and Canada for promotional Golf calendars. "Early Bird" special! 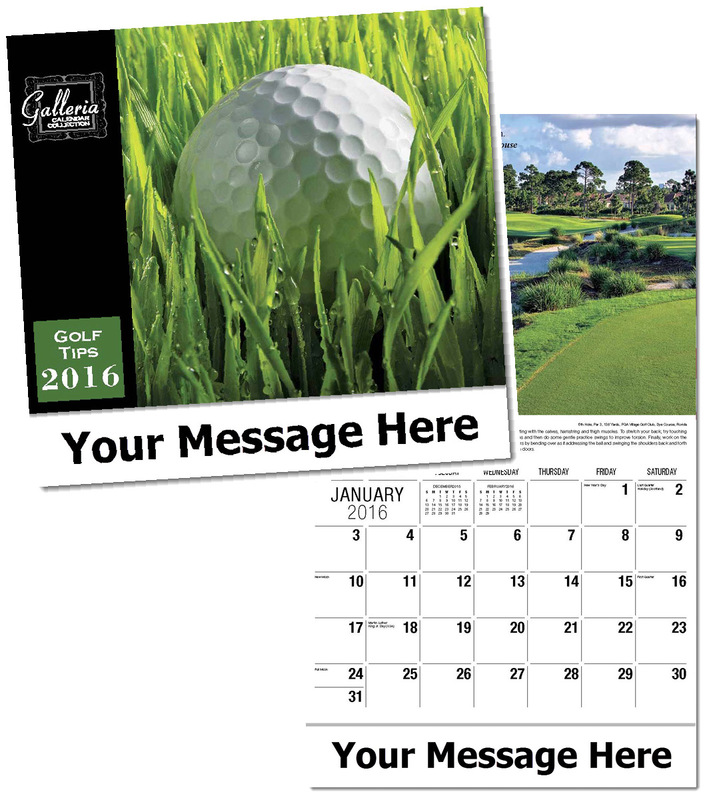 Bulk discount Golf Tips calendars, personalized with your custom imprint . Lowest price in USA and Canada for wholesale promotional Golf calendars. Featuring breath-taking images of 13 of the worlds finest golf holes along with humorous and thoughtful quotations aimed at golfers of all calibers. Monthly text provides helpful mini-lessons and insider tips to improve the game of all handicaps. Our high quality, low cost personalized Golf calendars include both American and Canadian holidays. See our "Early Bird" deep discounts on our Price Table below. American clients pay no taxes. Free artwork design and free proofs!